LAWRENCE — The changing status of Sudanese Muslim women in the early 20th century was reflected in the clothing they wore on their bodies. The white-on-white patterns of head-to-ankle fabric wraps called tobes were given evocative names like Freedom and So Soft It Will Make You Weep. In her new book, “Khartoum at Night: Fashion and Body Politics in Imperial Sudan,” (Stanford University Press) Assistant Professor of History Marie Grace Brown explores how northern Sudanese women in the run-up to independence from the British Empire expressed their growing opportunities and desires through fashion. Brown said she wrote the book for a general audience and hopes readers will relate to her subjects and their concerns. One of her favorite photographs in the book is that of a midwife riding her bicycle, circa 1925-1935. For a woman to enter the public sphere alone was radical because at the time northern Sudan was governed by a strict set of Arab-Islamic cultural values that sought to keep women at home. When Brown began to consider the book project, she knew she faced obstacles, from a sparse documentary record to the disintegration of decades-old fabrics. 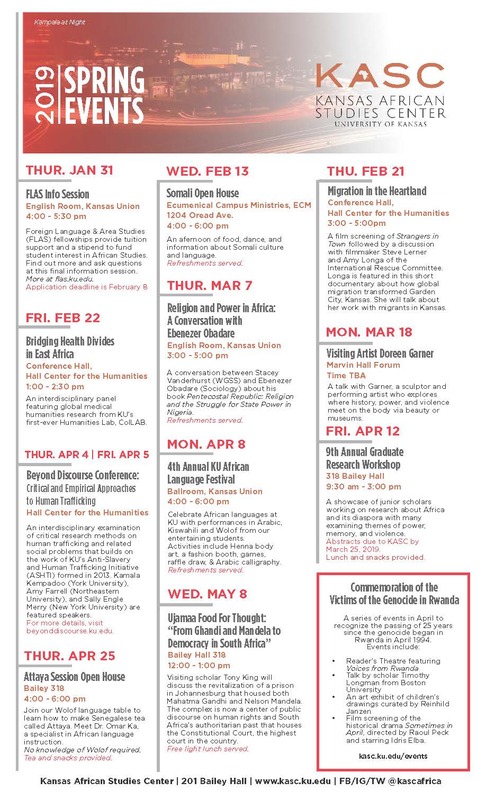 She took “a leap of faith,” as she put it, traveling to Sudan as a graduate student in 2010 and beginning to search for archives and meet people. “I balanced work in archives with visiting women who came of age in Sudan nationalist period — the 1940s and ’50s. Their experience confirmed for me the importance of using fashion to tell women’s stories,” she said. “Khartoum at Night,” which itself is the name of a historic tobe, explores the history of the tobe and the role it played in the 20th century. The history of tobes reveals other things about Sudanese women’s social status, too. From the 1930s through the ’50s, more women and girls were educated. Those who became nurses and midwives, for instance, had their own money to spend on fashionable garments and not simply uniforms. “All of a sudden, there is an explosion in styles of tobes,” Brown said. “Patterns appear on fabric in greater variety. To keep them straight, women and merchants started naming the patterns. I use the names as historical milestones in the book. Some of the names have to do with current events. For instance, in 1928 the first class of Sudanese men graduated from medical school. That same year, a striped tobe was called The Doctors’ Ribs. “During the 1950s, in preparation for independence from British rule, tobes were named Freedom, The Republic, The Diplomatic Corps, The Russian Satellite. In 1965 there was one called The Sound of Music, after the Broadway show. “This tells me a number of things. Women were marking changes in their lives by the names of their clothing, commenting on or celebrating major events like independence. They embodied those ideas in the clothes they chose to put on daily,” she said. After two research trips to Sudan, Brown hopes to return a third time for her next project, a history of British women’s “romantic adventures” in 20th century Sudan. 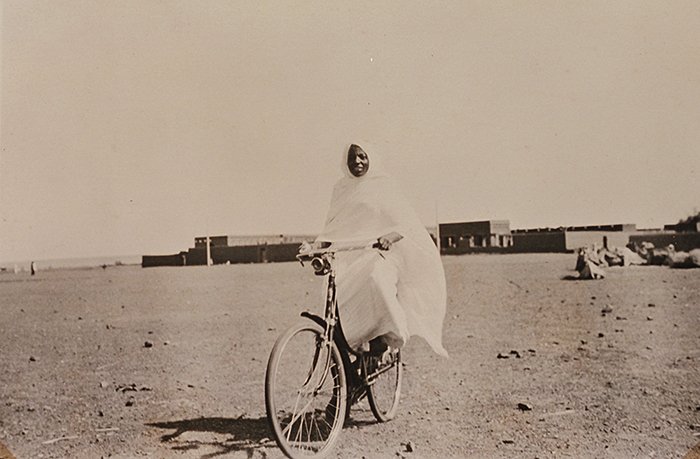 Photo: Midwife Sitt Batul rides her bicycle in Omdurman, Sudan, circa 1925-1935. (M. E. and G. L. Wolff Collection).